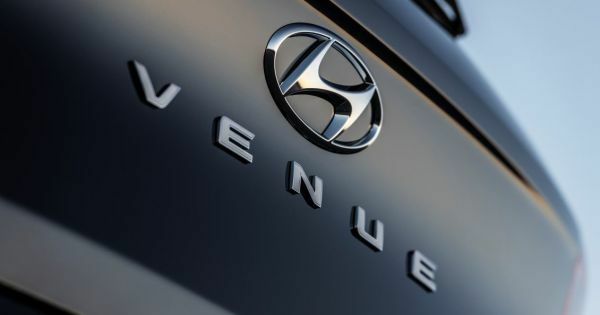 Hyundai’s teased a new crossover late March called the Venue, a vehicle it says will be built for “urban entrepreneurs”—AKA young people. The new crossover will slot just under the Kona in terms of size, and will be the brand’s entry-level option, catering to younger people looking for a car with a smaller footprint. The name is strange, but so is every other name in Hyundai’s lineup, so it doesn’t bother us. What the new name does is depart from the brand’s use of North American city names such as Palisade, Telluride, Santa Fe, Tucson and Kona. Motor Trend found out earlier this year the new vehicle will have a “very very distinctive two-box area” and a “very boxy, bold, bulldog-gy character,” according to Hyundai chief designer Sang-Yup Lee. Car Advice reports the Hyundai Venue will go on sale in the second half of 2019, after being unveiled at the New York auto show. The reveal will feature an augmented reality component that will be live-streamed online; it all goes down April 17, at 10:45 am Eastern Time.